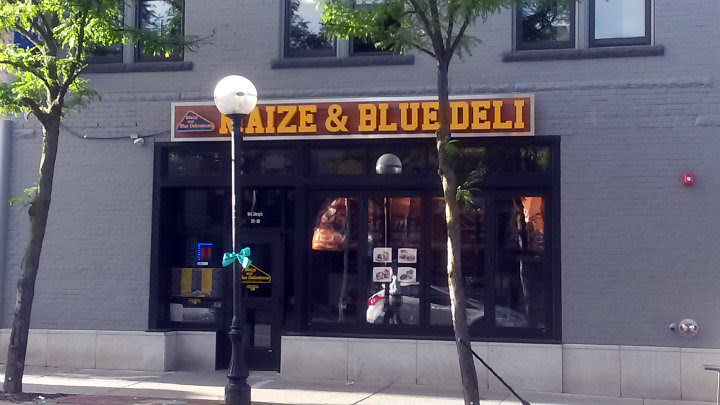 Maize and Blue Deli has two locations in Ann Arbor, Michigan. 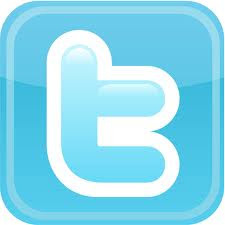 For purposes of this blog post, I went to the spot on S University Avenue. 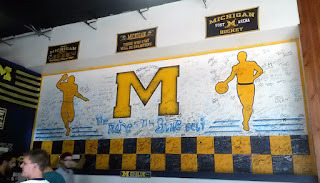 When I arrived in Ann Arbor early on a Thursday morning, I also passed by the other Maize and Blue Deli on E Liberty. 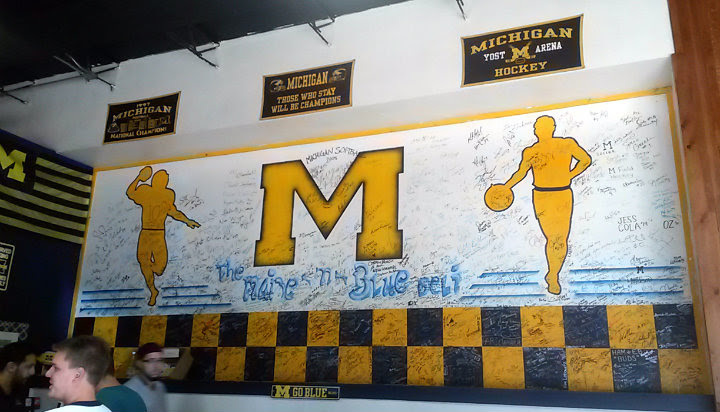 That was the one Adam Richman went to on the Ann Arbor episode of Man v. Food. Alas, the deli doesn't open until 10 or 10:30 AM, so I decided to come back another day. 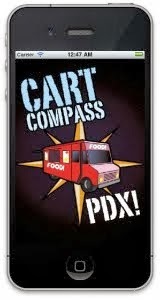 By happenstance, I stumbled across the second location while driving around looking for parking the next day. 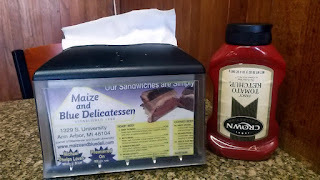 Since I had taken my unofficial tour of Michigan Stadium not far from the deli, I dropped in for a bite. If it was game day or at peak time during the school semester, Maize and Blue Deli likely has a good line that forms. 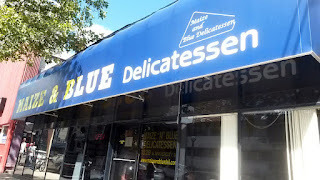 I luckily went when there was virtually no line -- and there happened to be a place to sit near one of the TVs in the deli. 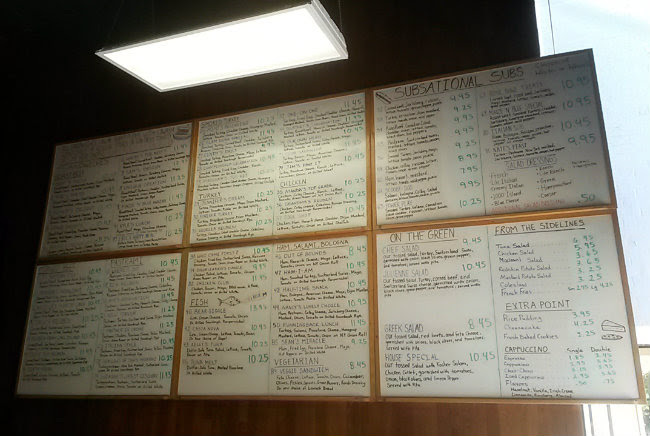 The menu is massive. Many sandwiches, a handful of subs, a few salads, and even a small espresso bar. 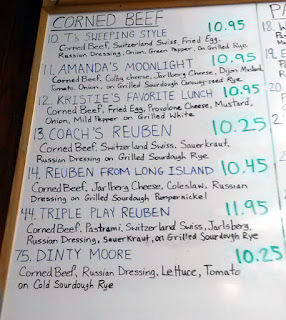 I opted for the #44 Triple Play Reuben ($11.95), which was the same dish Adam Richman got on the show. 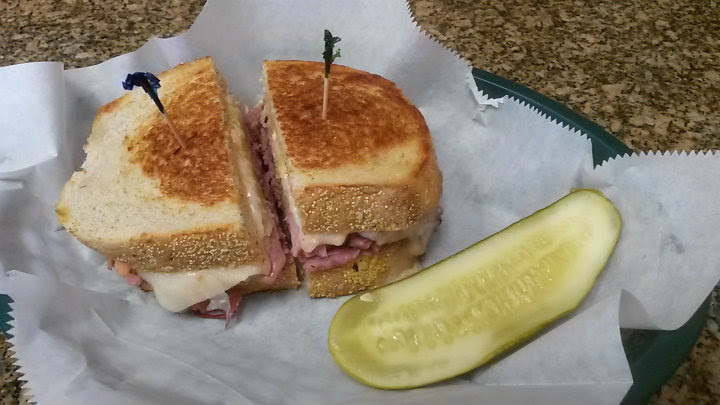 Corned beef and pastrami, Swiss cheese, Jarlsberg cheese, Russian dressing, and sauerkraut on grilled sourdough rye. 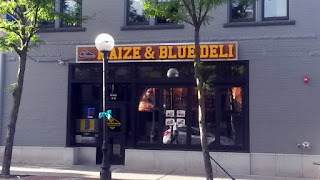 Served with a half dill pickle. 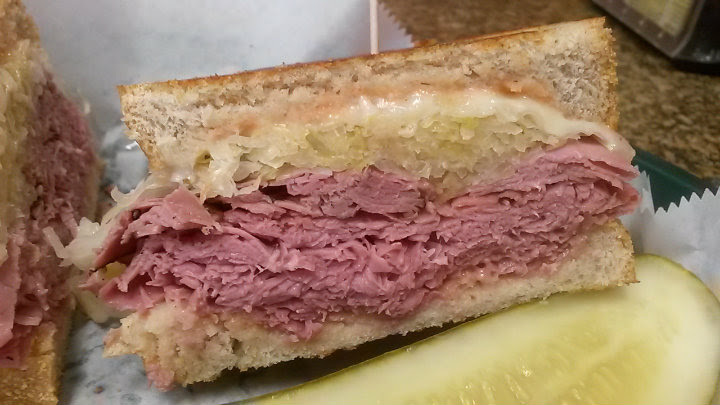 This was one killer Reuben. Lots of meat, cheese, kraut, and dressing for me to enjoy, but it was the grilled bread that will produce just as many memories. 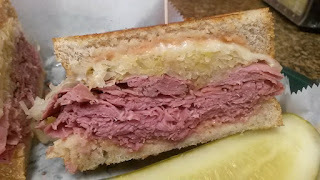 It had this buttery feel and taste, without too much grease, that I have not encountered in other Reubens before or since. 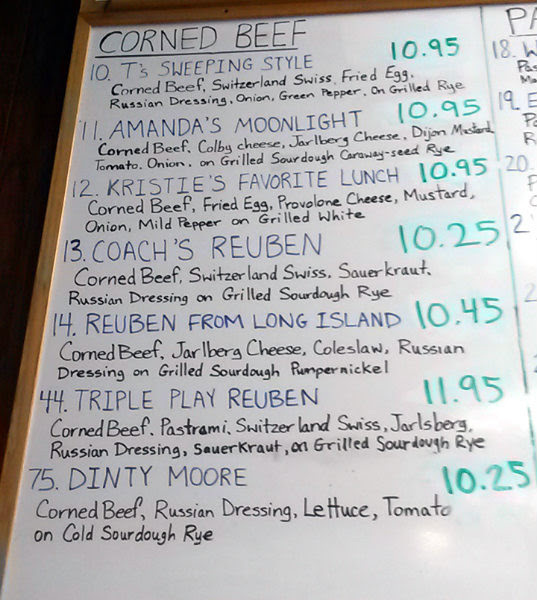 For the record, I would enjoy a Reuben with either corned beef or pastrami, but if there's a menu option that puts both in the sandwich, sign me up and take my damn money.